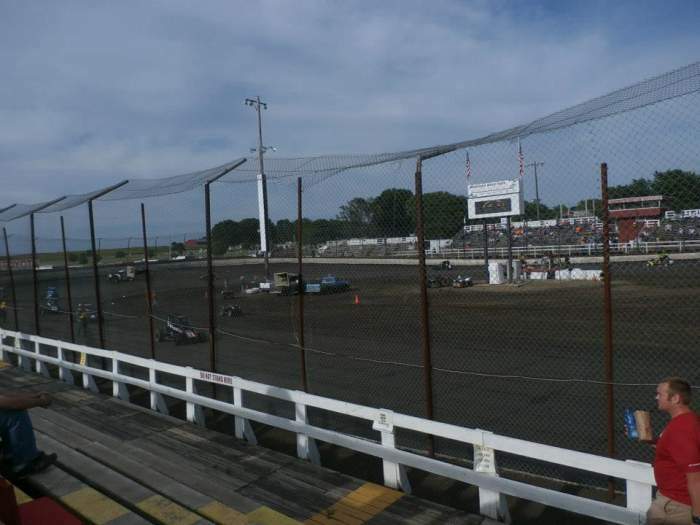 Location - The track is located around 50 minutes to the east of Springfield Illinois via I-72e. 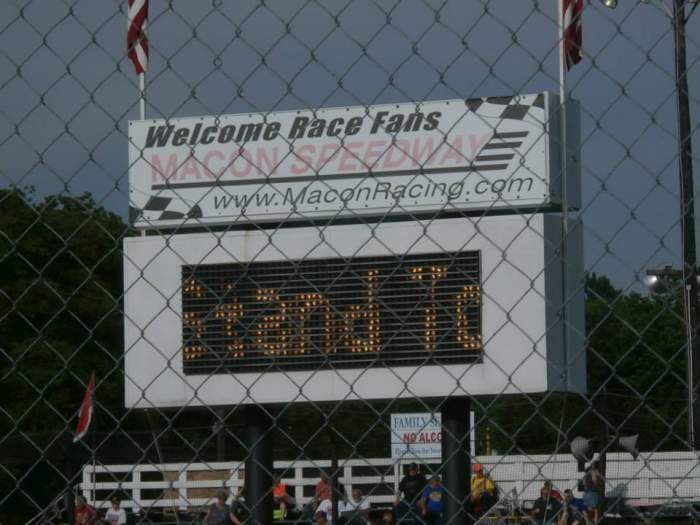 Macon itself is a very small place with some 1200-1300 residents. The track is a 3 hour drive west of Indianapolis via I-74w and I-72w. That's stretching practicalities especially when considering the meeting ran to 12:30am when Percy attended. Parking - Parking is right beside the track and appeared appropriate for the size of the venue. Premiere Meeting - The track races almost every Saturday night so there is no shortage of events to choose from. 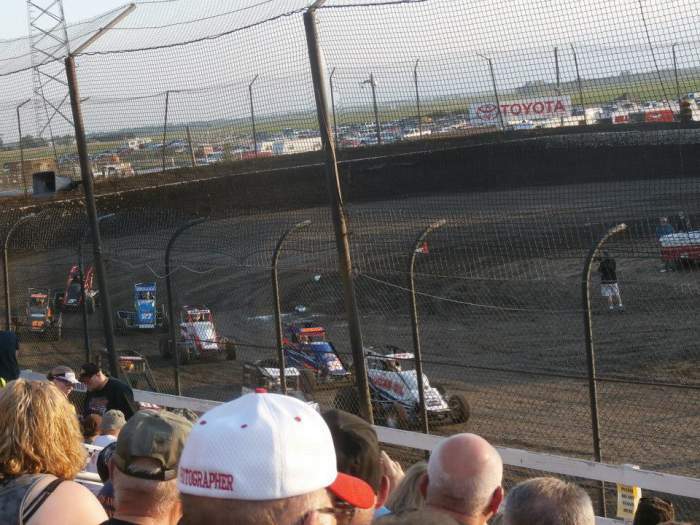 Given the tight confines of the 1/5th mile track the Lucas Oil Late Models and MOWA Sprintcars would be events not to be missed. 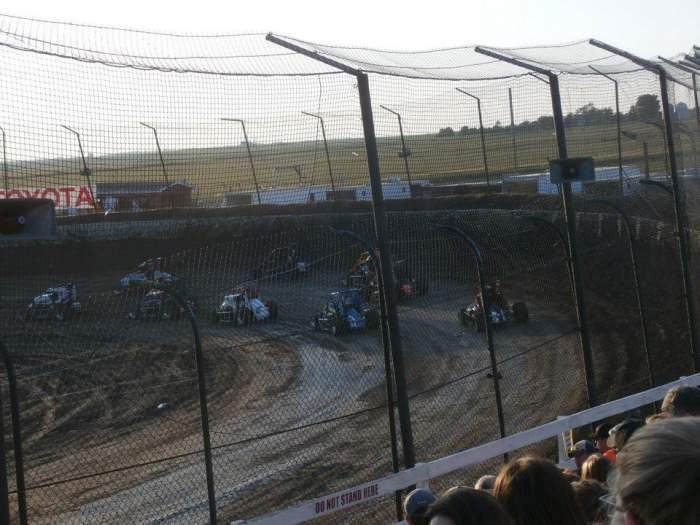 Also worth attending - POWRI Midgets make several appearances through the year. If you're looking for something a bit different try the $1 dog night featuring a hot dog eating competition! 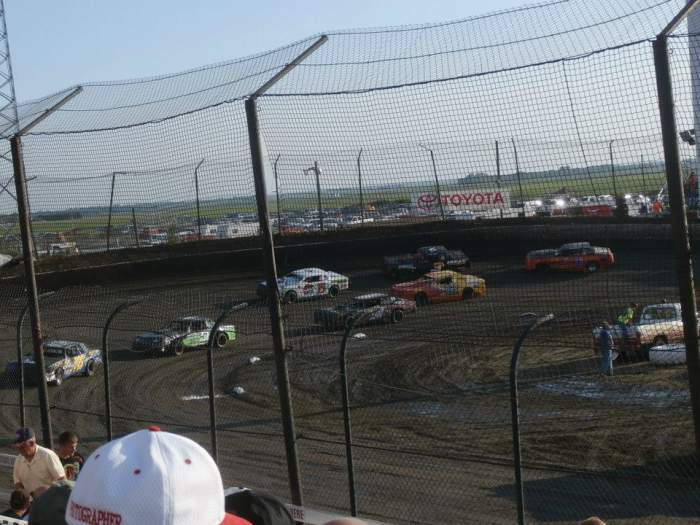 Best spot to sit - The track does have a lot of grandstand options. 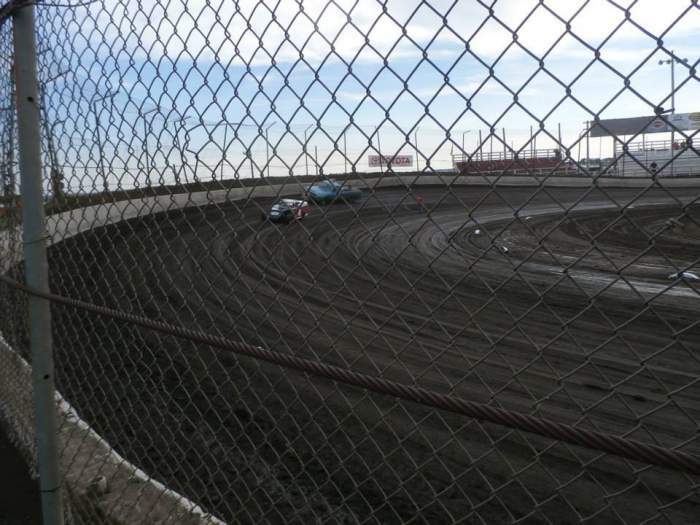 Try to avoid the stands on the entrance and exits of the corners. For the first hour you will be dodging dirt, some of it potentially quite sizeable! Try one of the stands on the main straight for a good view of the track. 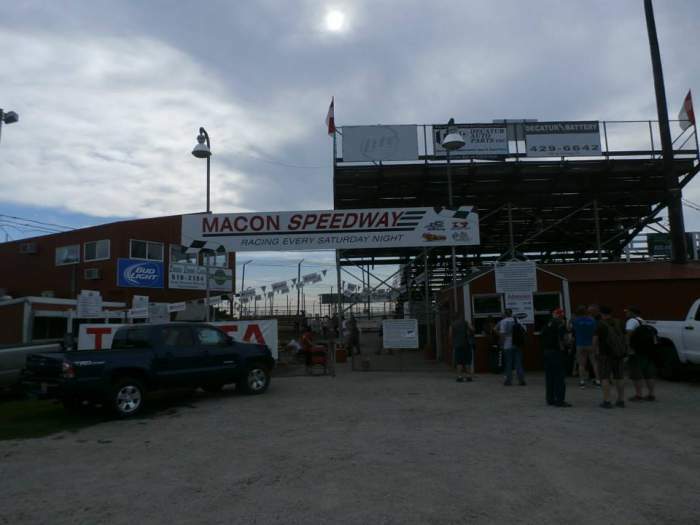 Uniqueness - Marketed as the worlds fastest 1/5th mile, Macon Speedway is a tight, high banked and downright scary race track. Set amongst endless cornfields this place is crazy. The track is busy and drivers need their wits about them just to line up on the grid let alone whilst racing. The track does allow for exciting racing with the high banked nature of the track opening up different lines around the corners. Sadly when Percy attended there were plenty of yellow lights as cars spun out but the potential is there.